The proper name for salt is sodium chloride as it is made up of these two naturally occurring elements. The sodium part is what causes health concerns, and the World Health Organisation recommends that adults should consume no more than 2000mg of sodium per day, which is equivalent to 5g of salt – about a teaspoonful. Sodium is found naturally in many foods, such as dairy products, eggs, meat and vegetables, but in much higher levels in ready-made and processed foods. 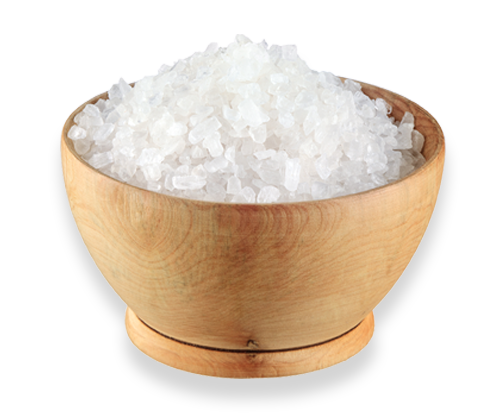 These “hidden salts” make up about 75% of the salt we consume. The first step to keeping your sodium levels in check and improving your overall health is to cut down on the “salty six” and eat more whole, unprocessed foods, fruit and vegetables.